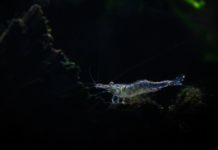 One of the most important decisions you will make when putting together an aquarium system is choosing an adequate filter. It should be large enough to keep the aquarium water clean and should utilize mechanical, chemical, and biological components. You can choose from filters that hang on the back of the aquarium, or those that are contained in a canister that can sit under the tank. No matter which type of filter you choose, be certain that it can handle the size aquarium you purchase. An aquarium filter has many functions which include increasing dissolved oxygen in the water, removing particles and organic materials, and breaking down toxic fish waste and other detritus to safe levels. 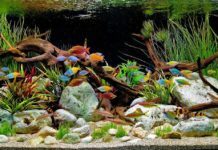 Typically, a freshwater filter should include all of these processes, although aquarium setups such as live planted aquariums may not require additional oxygenation. The three filtration requirements we need in our filter are: mechanical, chemical and biological. An aquarium is like a tiny part of a lake, stream, river or other large bodies of water that houses living creatures. Natural bodies of water are subject to evaporation and are replenished with rainwater and/or water from a stream or river. This constant movement helps keep inhabitants healthy by washing away debris and fish waste with the continuous influx of new water. Aquarists try to mimic the benefits of this movement by moving aquarium water through a filter to remove particles and harmful chemicals. Power filters are comprised of a tube to pull water from the aquarium into the filter, some sort of compartment to house filter media, and a second tube used to return filtered water to the aquarium. Once inside the filter, water passes through a filter cartridge or series of different media. 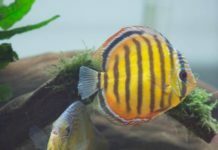 Some filters are designed to oxygenate the water while most rely on the movement of the water as it is returned to the aquarium to help with oxygenation. Fish use up oxygen that is present in the water producing the byproduct carbon dioxide. In order for fish to live in an aquarium, carbon dioxide must be removed and oxygen must be replaced. This is achieved by rotating the top 0.06 inches of the water surface where gasses exchange. If we rotate the water surface the oxygen content will stay high and the carbon dioxide will stay low. When choosing a filter make sure the water flowing back into the aquarium rotates the surface. 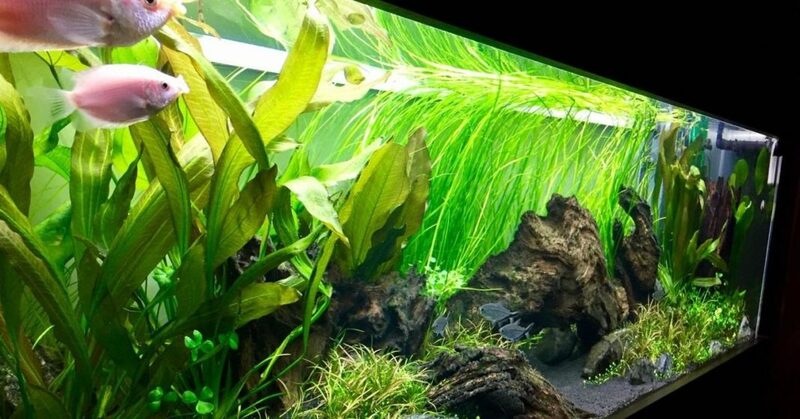 Live planted aquariums may not require the surface to be moving since plants in light use the carbon dioxide and give off oxygen. Mechanical filters use a type of media to trap uneaten fish food, plant matter and other debris floating in the water. Mechanical filters are usually made of a floss cartridge, pad or sponge. Since they trap debris they must be cleaned regularly and replaced as needed. Dirty filter media will restrict water flow unless the filter has a bypass. In either case, clean filter media will keep the filter running efficiently. Mechanical filters are usually the first process taking place in an aquarium filter. Mechanical filters remove particles from the water but there are still impurities which pass through this media. To remove dissolved impurities requires chemical filtration. Chemical filtration is generally achieved through a good grade of activated filter carbon. Carbon adsorbs dissolved organics which reduces odors and removes yellow color from the water. 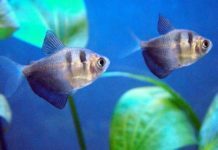 For most freshwater aquariums activated filter carbon is all that is needed, although for special cases there are other types of media available which will remove phosphates, nitrates, silicates and more. 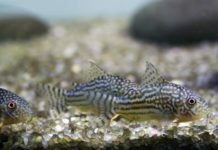 Ammonia produced by fish waste, fish respiration, and other organic nutrients which activated carbon will not remove can build up in the aquarium water. 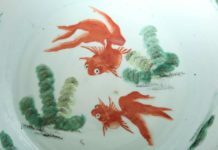 Since high levels of ammonia are toxic to fish, this ammonia needs to be removed. Naturally occurring bacteria will break down the ammonia into a less toxic form called nitrite. Another bacteria reduces the nitrite into nitrate. Regular partial water changes usually keep nitrate levels low and safe for fish. These “good” bacteria need a place to grow and there colonization ideally takes place on biological media made of ceramic rings, plastic bio balls, sponges, or fiber wheels. If this media needs cleaning rinse it in use water free of chloramines and chlorine to keep the bacteria alive. 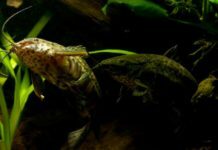 When you choose a freshwater aquarium filter it should oxygenate, remove particles, remove organics, and break down fish waste and other detritus into less toxic form. 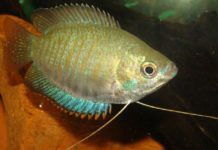 It should also be large enough to filter the water, pushing it enough water through the filter so that the volume of aquarium water in the tank is turned over from 5 to 8 times every hour. 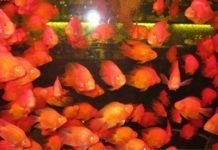 The right aquarium filter is a major factor in keeping your fish thriving. A filter should be large enough to move all the water in your aquarium through it 5 to 8 times every hour. Multiply the gallon size of the aquarium times 6. This will equal the total number of gallons that the filter should be able to handle in an hour. That means that if you have a ten-gallon aquarium, you should choose a filter that will move 50 to 80 gallons every hour. Biofilm, a film of slimy bacteria, will build upon the inside tubes and other submerged filter parts causing resistance and slowing the water flow. With this in mind, always choose a filter with a higher flow rate rather than a lower one to allow for this reduction. Choose a filter that can remove particles and organic materials, add oxygen, as well as take care of detritus and fish waste. In short, make sure the filter includes mechanical, chemical and biological filtration. Other considerations are cost, space and ease of use. Filters that hang on the back of the aquarium come in a variety of styles, sizes and cost levels. Generally, hang on the back filters are much less expensive than their canister filter counterparts. They are several inches wide and this width determines how close the aquarium can be to the wall behind it. Hang on the back filters are easy to remove and clean as long as there is space to reach them. If you are limited on space around your aquarium or simply consider a filter an eyesore, consider purchasing a Canister filter. Canister filters allow the aquarium to sit closer to the wall and can be purchased with quick-disconnect features so that they can be easily disconnected and moved to a sink for cleaning. These compact filters are generally more expensive those that hang on the back of the aquarium. Only the tubes are visible inside the aquarium and the canister can be hidden in a cabinet below. Whether you choose a canister filter or a hang on filter, make certain that it performs the three major functions: mechanical, chemical and biological filtration. Size your filter by multiplying the gallon size of the aquarium by a number between 5 and 8.